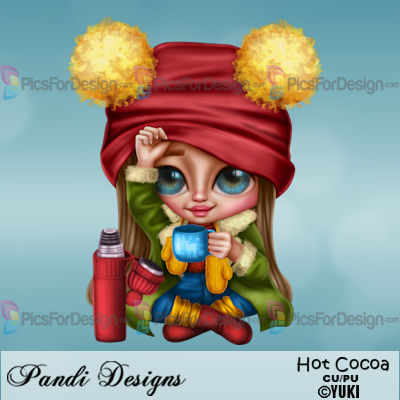 HOT COCOA - Illustration store PicsForDesign.com. PSP tubes, PSD illustrations, Vector illustrations. 5 Hot Cocoa Dolls in various winter outfits.